This remarkable animated documentary traces the unconventional upbringing of the filmmaker Jung Henin, one of thousands of Korean children adopted by Western families after the end of the Korean War. It is the story of a boy stranded between two cultures. 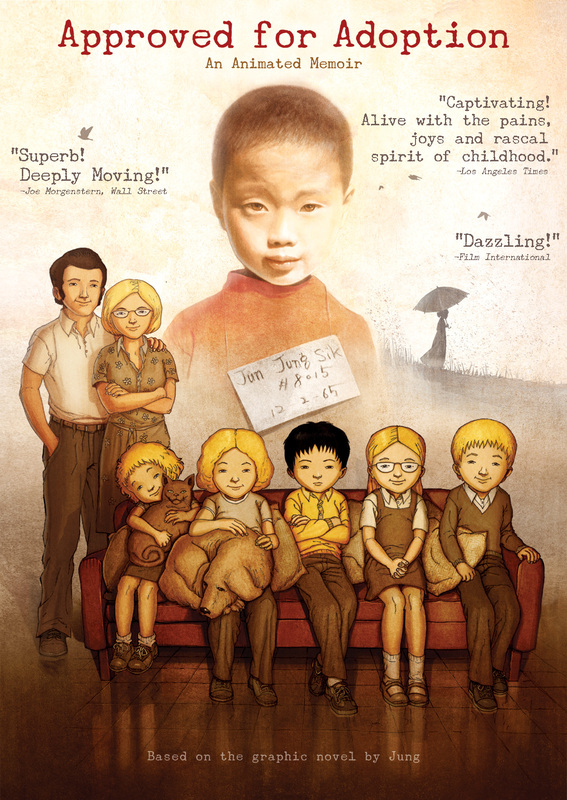 Sepia-toned animated vignettes – some humorous and some poetic – track Jung from the day he first meets his new blond siblings, through elementary school, and into his teenage years, when his emerging sense of identity begins to create fissures at home and ignite the latent biases of his adoptive parents. The filmmaker tells his story using his own animation intercut with snippets of super-8 family footage and archival film. The result is an animated memoir like no other: clear-eyed and unflinching, humorous and wry, and above all, inspiring in the capacity of the human heart. ©2012 Mosaïque Films – Artémis Productions – France 3 Cinéma – Panda Media – Nadasdy Film – RTBF – RTS. Art and Design ©2014 Cinedigm Entertainment Corp. All Rights Reserved. Marketed and distributed in the U.S. by Cinedigm Entertainment. $34.95 2-disc set (Blu-Ray; DVD).